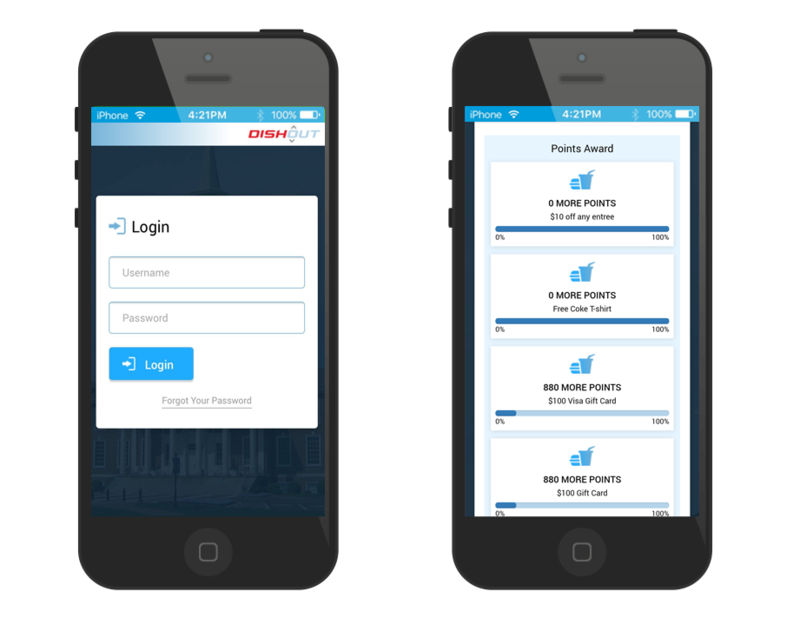 Reach your customers on-the-go with a mobile solution from DishOut. We provide a variety of mobile solutions for merchants to help you process mobile payments, implement mobile ordering, or even provide your customers with mobile coupons, discounts, and other offers. 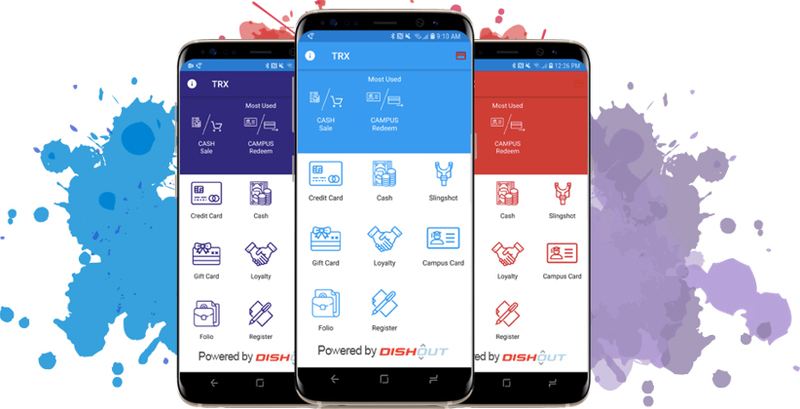 The TRX Payment app provides simple and secure mobile payments from any mobile device and works with other DishOut mobile solutions to provide a full mobile payment experience. Professionally designed with a simple user-interface and plenty of theme packs to choose from and virtually any color is available. Perfect for all your payments. From traditional credit cards, to campus cards, gift cards, folio, loyalty programs, and more, the TRX Payment app processes them all. Integration to a variety of input devices including the ID TECH Shuttle MSR, Blue Bamboo Bluetooth Printer, MagTek tDynamo, MagTek eDynamo, and the MagTek DynaPro Go. Simple to read icons for a familiar user interface as well as an on-screen help guide. Flexible receipt options let your customers choose how to receive their receipt. Printed, emailed, or no receipt at all. DishOut’s online and mobile ordering platform is a fully brandable solution that allows you to provide the speed and convenience of mobile ordering to allow their customers to place an order anytime, anywhere, from their mobile device. This solutions allows you to manage orders through a simple interface on a small tablet or mobile phone. DishOut’s online and mobile ordering solution is white-labeled, allowing you to add your branding elements, such as colors, logos, and pictures to make this solution a true part of your operation. As customers go about their busy day, become their favorite restaurant by allowing them to browse your menu, place an order, and pay for their meal from their mobile device. With no new cumbersome system to learn, rolling out your new solution is easy. Your customers will love the modern and intuitive design that’s familiar and simple to use. Advanced business intelligence via your new online and mobile ordering solution provides insight into popular orders during peak and off peak hours, how long orders take to fulfill, and more. One of our most popular mobile solutions for merchants allows you to connect your point-of-sale (POS) system to a mobile device such as a smartphone or tablet running our TRX payment app and “sling” orders between them for a semi-integrated experience. Enjoy the convenience a semi-integrated experience between your POS and your payment terminal can provide for you, your employees, and your customers, without the long and expensive process of a full integration. 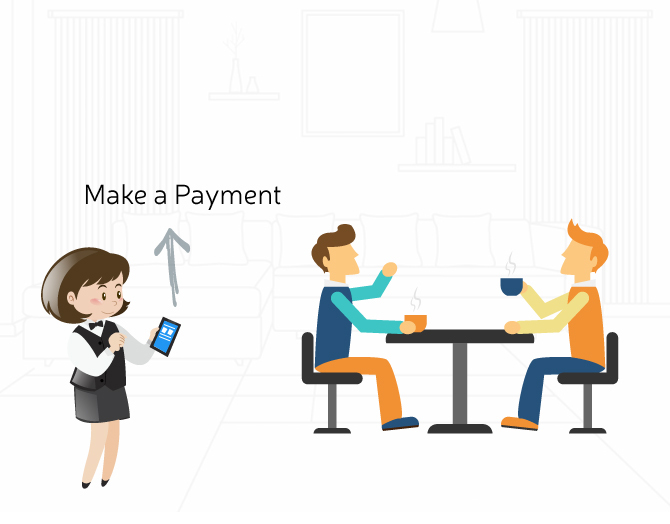 Provide your customers with the convenience of pay-at-the-table. Simply enter the customer’s order into your POS and slingshot it to a tablet or mobile device running our payment application by simply pressing a button. Present your customer with the mobile device to review their order, add a tip, and process their payment. Add a little extra security to your delivery orders. When a customer places an order over the phone for delivery, enter the order into your existing POS, and slingshot the order to a mobile device carried by your delivery driver. When your driver delivers the order, simply present the customer with their food and the mobile device to complete the transaction. Slingshot the completed order and payment from the table, or the road, to your POS system to close out the order.